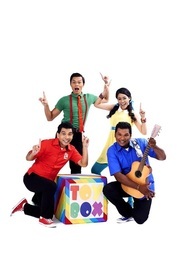 Formed in 2005, The Amazing ToyBox is Singapore's only professional kid's music duo. We are former preschool teachers, Mark De Silva and Reuben Tupaz. Together, we have close to 20 years of experience educating, working with and performing for children. Mark plays the guitar and keyboards and also sings while Reuben sings and plays guitar too. Thousands of children aged 2 - 6 years have attended our Amazing ToyBox Concerts, Shows and Performances. Original songs, written, composed, arranged, produced and performed by The Amazing ToyBox are the feature of all of our concerts, shows and performances. 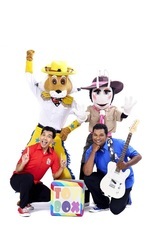 The Amazing ToyBox family includes our very own Amazing ToyBox Characters Abigail (Abby) Ant The Adventurer and Sheriff Bobcat (Bob) Buckles and our Boogie Bug Dancers. The Amazing ToyBox with Sheriff Bobcat Buckles and Abigail Ant The Adventurer. The Amazing ToyBox and The Boogie Bug Dancers.